To incorporate a producer company a minimum of 10 persons are required over the age of 18 years. Activity performed in the producer company must be agriculture related. IndiaFilings offers a comprehensive accounting and compliance management solution for producer companies starting from Rs.39899/- per year. Overview of Producer Company in India and the procedure for registration of a Producer Company. IndiaFilings can help register a Producer Company in India. List of documents required for company registration in India. Documents required for Indian or Foreign Director, registered office and shareholder in company. The concept of Producer Company was introduced to allow farmers cooperatives to function as a corporate entity under the Ministry of Corporate Affairs. NABARD provides special assistance and loan for Producer Company or Producer Organisation through the Rs. 50 crore Producer Organisation Development Fund. Difference between authorised capital vs paid up capital explained in detail with an illustration. Visit IndiaFilings to know more about authorised capital. The Ministry of Corporate Affairs has re-introduced the concept of commencement of business certificate in 2019. All companies registered are now required to obtain commencement of business certificate before commencing any business or exercising any borrowing powers. List of all private limited company compliance, 2019 due dates and non-compliance penalty. Private limited companies registered in India must file their annual return (MGT-7 and AOC-4), income tax return, INC-22A and DIN eKYC for the Directors. Authorised capital is the amount of shares a company can issue at anytime and can be increased further in the future. Paid-up capital is the amount invested by shareholder and can be even Rs.2. In case of Rs.10 lakh authorised capital, stamp duty of Rs.5120 (on actuals) will be chargeable extra for the state of Gujarat. Rs.5510 will be the additional stamp duty charges for state of Rajasthan. In case of incorporation in Madhya Pradesh, an additional stamp duty of Rs.7550 will be applicable. In case of incorporation in Punjab, an additional stamp duty of Rs.15025 will be applicable. In case of Kerala, an additional stamp duty of Rs.3025 will be applicable. Opening a current account for a producer company is easier when compared to opening of current account for a sole proprietorship firm as a company is a registered legal entity – recognized by law. Therefore, once a company is incorporated, a bank account can be opened in the name of a company with the incorporation certificate of the company and identity/address proof of the Directors. How long will it take to incorporate a Producer Company? IndiaFilings.com can incorporate a Producer Company for in 20-30 days. The time taken for registration will depend on submission of relevant documents by the client and speed of Government Approvals. To ensure speedy registration, please choose a unique name for your Company and ensure you have all the required documents prior to starting the registration process. 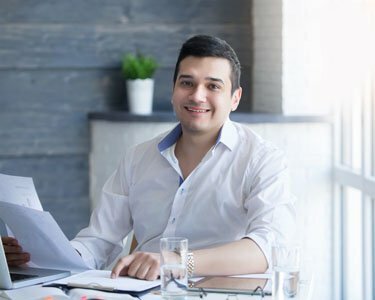 Is an office required for starting a Producer Company?